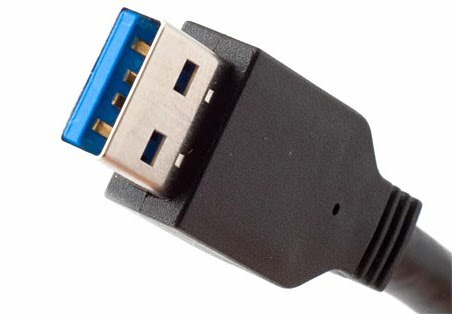 Here's a great write up of the new version of the Universal Serial Bus standard: USB 3.0. This new version of USB will enable much faster transfer of information - to the tune of about 5 gigabytes per second. This is 10 times faster than USB 2.0. Right now you can buy adapter cards and cables to enable this on your computer, and there are a few external hard drives that are available. In the near future, computers will come with USB 3.0 built in. This is backwards compatible, so you can continue to use your current USB devices on the new systems with no problems. If you start seeing USB cables and jacks with a blue plastic inside - that's 3.0!